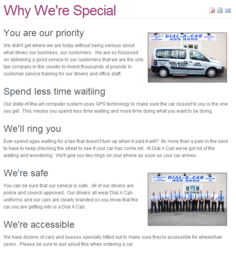 Dial-A-Cab Taxi's the only taxi service you'll need. Based in South Tyneside, we are the only taxi company nationwide to send all of our drivers and office staff on a customer service course. That's why we offer more than simply service with a smile. You can rely on us for a courteous, prompt, safe and approved service to get you to where you want to be without any hassle. Our drivers have completed a level 2 NVQ course in road passenger vehicle driving. We're on call 24 hours a day, 7 days a week, 356 days of the year. Wheelchair users! 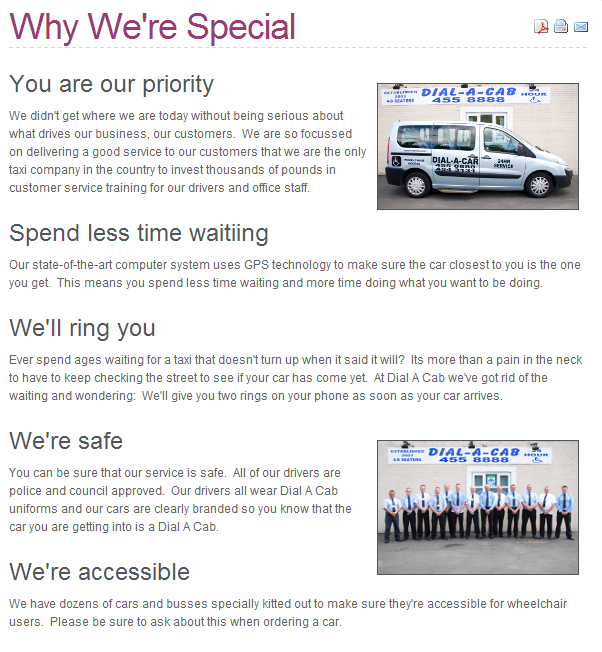 Did you know we're the most accessible taxi company in the area? We've dozens of cars and buses specially kitted out to make sure they're accessible to you.